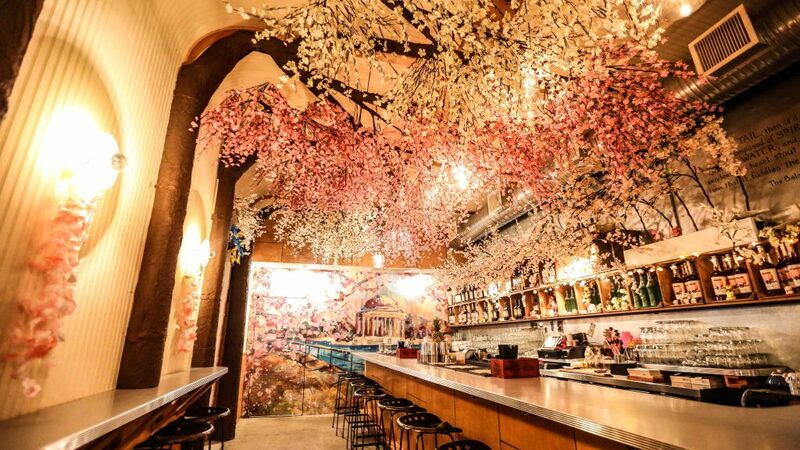 “Returning for its second year, Drink Company’s Cherry Blossom Pop-Up Bar opens March 1st to usher in springtime with inspiration from both D.C. and Tokyo. This time, Drink Company is partnering with the National Cherry Blossom Festival to further celebrate the Japanese gift that has become unanimous with spring in D.C. 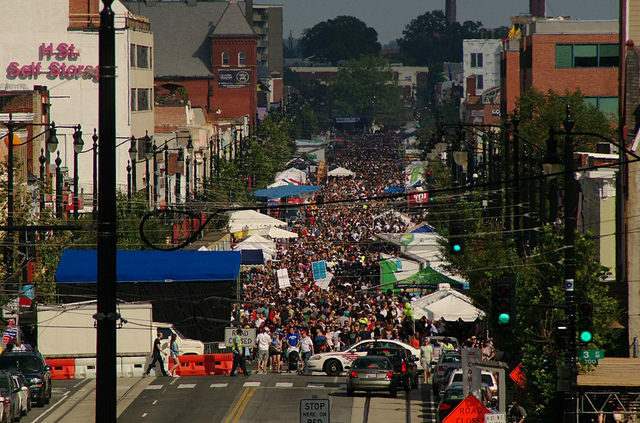 The festival partnership also includes a special Festival Night at Cherry Blossom PUB on March 20th, for which guests can purchase tickets for timed entry passes into the bar. 100% of those ticket sales will be donated to the National Cherry Blossom Festival non-profit organization. The Neko tiki mugs aren’t the only popular item making a fresh appearance: Last year’s I Call Yoshi returns as A God, An Alpha Predator, Godzilla. Composed of Nigori Sake, Shochu, Blanc Quinquina and Fresh Honeydew Juice, it’s a highly crushable drink, monster pun intended. One of Japan’s most beloved beverages, the Chu-Hi, also gets the Cherry Blossom PUB treatment. The effervescent highball of sparkling lemon soda and Shochu consumed in bars and convenience stores alike is transformed with the addition of toasted rice orgeat and Manzanilla sherry, and a garnish of a Citrus Rice Krispies Treat. This style of drink is crisp, delicate, refreshing, and the perfect beverage to welcome spring. Guests can also sip sake and whisky (including a Nikka Single Malt and Suntori Toki), rosé and other select wines, and non-alcoholic Japanese sodas. THE ROOMS: Following the success of their enormous trees in Pop-Up Bars past, Special Projects leaders Matt Fox and Adriana Aspiazu have created even grander cherry blossom trees and canopies that connect rooms, boasting five times more blossoms than the year before. A room full of boxwood, lush florals, and over one thousand monarch butterflies pays tribute to D.C. in full spring bloom. The center bar combines the architectural elements of pagodas and tea houses, and brings back thousands of paper cranes from last year’s setup. Guests will step out of that world, and into Drink Company’s tribute to Tokyo’s Memory Lane, an alley that boasts dozens of bars, late night street grub and an excess of bright lights and lanterns. 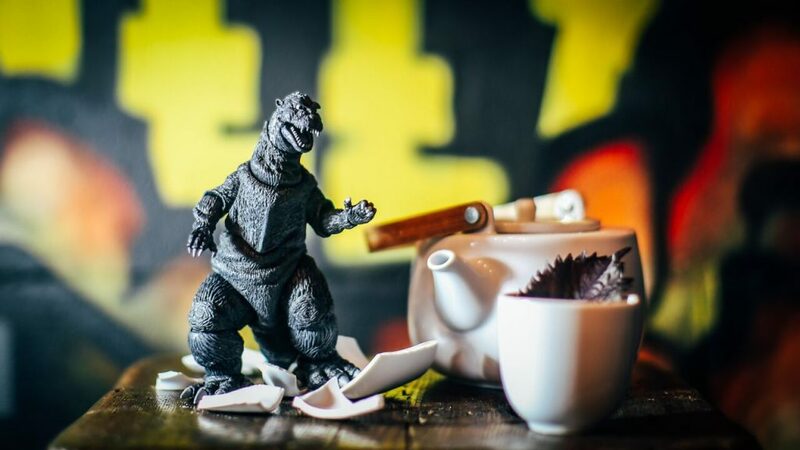 Finally, a 10-foot-tall Godzilla robot (built by Andrew Herndon) occupies the last room, standing in front of a mural of his destroyed city painted by Andrew Funk. Sunday through Thursday, 5:00 p.m. to 12:30 a.m.
Friday and Saturday, 5:00 p.m. to 1:30 a.m.